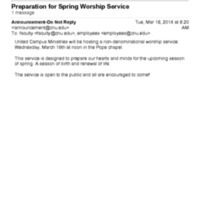 Booklet with prayers and hymns. 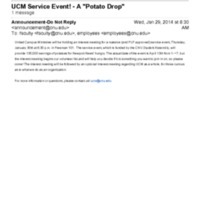 2.34 B UCM Service Event! 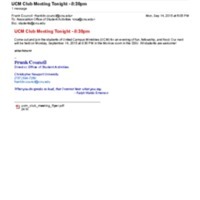 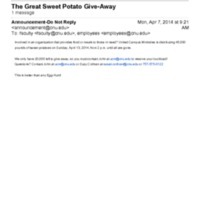 - A "Potato Drop"
Email announcement of United Campus Ministries club meeting.